Dr Hogan graduated from the University of Melbourne in 1995. Having worked at a number of public and private clinics in Victoria, 10 years ago Dr Hogan restricted his professional practice to minor oral surgery and implants; areas in which he has extensive additional training and experience. 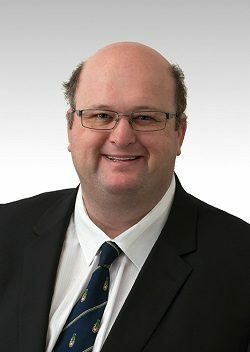 A Fellow of the Royal Australasian College of Dental Surgeons, an accredited member of the Australian Society of Implant Dentistry and a member of the International Congress of Oral Implantologists, Dr Hogan enjoys keeping current with the latest dental innovations via continuing professional development. Additionally he is active in education, having a long history of lecturing and demonstrating to undergraduate dentists and oral therapy students. "Over my 20 years of practice, my focus has been on high quality health care for the patients entrusted to me"